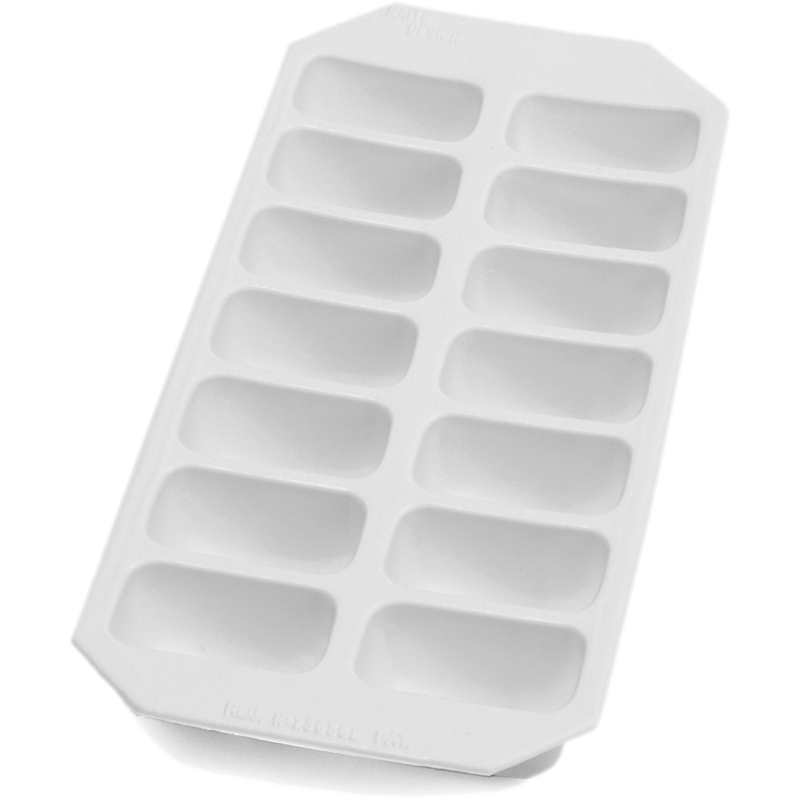 Enjoy a refreshingly cold drink with a little surprise, with this Gourmet ice cube tray from Lekue. Fabricated from white rubber, it is long-lasting and durable. It is extremely flexible, making extraction of ice quick and easy, and makes 14 ice cubes at a time. It is designed in the traditional rectangular shape and makes large rectangular cubes. Ideal for freezing single servings of sauces, compound butters, jams and more, this tray is a great way to add a touch of fun to your kitchen. Best of all, it is dishwasher safe.